A. K. Hangal was 98 years, 6 months	& 25 days old age. 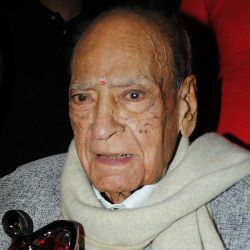 Avtar Kishan Hangal was born on 01-02-1914, in Sialkot in the state of Punjab, British India. He was referred as A. K. Hangal. He was an Indian Freedom Fighter, Theatre Artist, Television Actor & Film Actor. A. K. Hangal is best known for his roles in movies like Aaina, Shaukeen, Namak Haraam, Sholay, Manzil and Prem Bandhan to name a few. In a career spanning 40 years, he has acted in some 225 films. Hangal actively took part in the Indian freedom movement. While he was a student, he challenged the massacre at Jallianwala Bagh. He then moved to Karachi, where he was sentenced three years in prison, for showing discontent against British rule. He was a relative of India's first Prime Minister, Pt. 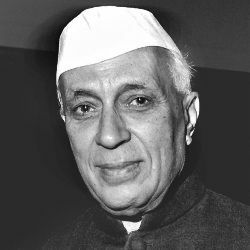 Jawaharlal Nehru. PanditNehruji’s wife, Kamla Nehru, was the first cousin of Hangal's mother. After doing theatres for almost 30 years, he finally started his Hindi film career by debuting at the age of 50 with Basu Bhattacharya's TeesriKasam, which released in 1966. After which he went on to portray as the man of principles, by playing the on-screen uncle or father of the leading actor/actresses in the films for the next 40 years. He had chest and breathing problems, for which he was put on life support. But his condition kept on worsening and he died on 26th August 2012, at the age of 98. He was born to Pandit Hari Kishan Hangal & Ragia Hundoo. He was the brother of two sisters named Kishan Hangal & Bishan Hangal. He was married to Manorama Dar. The couple was blessed with a son Vijay Hangal who has acted in Bollywood films Dhund, 36 Ghante & Deewaar etc. 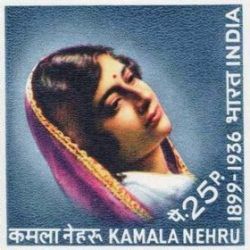 Kamla Nehru (wife of Pandit Jawahar Lal Nehru) was his aunt. He was acted more than 225 Bollywood films. He was the family member of Kamla Nehru wife of Jawaharlal Nehru. His role has always left a message in Hindi films. He was also a freedom fighter and participated in NWFP. In 2006, the government of India honoured him by Padma Bhushan.